With its elegant mixture of Edwardian and Victorian buildings, Great Portland Street is one of the W1 postcode’s richest places of character. The first mention of this street dates back to 1726, when it was known as John Street. A few years later, the expansion of the estate owned by the Dukes of Portland brought a change in the street’s name, which then became known as Portland Road. Towards the end of the 18th century, the street layout was pretty much identical to the one we see today, with large period buildings lining each side of the street. Towards the beginning of the 19th century, Portland Road became an important residential and commercial hub. Great Portland Street received its name in 1870. By that time, the street was known to be home to many restaurants, shops, massage parlours, and antique shops. In the early twentieth century, Great Portland Street was dubbed “Motor Row” due to the number of companies in the automobile sector that chose the street as their base. Benz Motors, Jaguar, Austin, and Vauxhall were some of the most important firms that were represented in the showrooms that lined Great Portland Street at the turn of the century. The textile sector was also very important until the 1970s, and for decades Great Portland Street was the place to go for those who wanted good quality garments made to order. In an effort to preserve the historic and architectural value of the street, the local authority has designated Great Portland Street as part of the Harley and East Marylebone conservation areas. 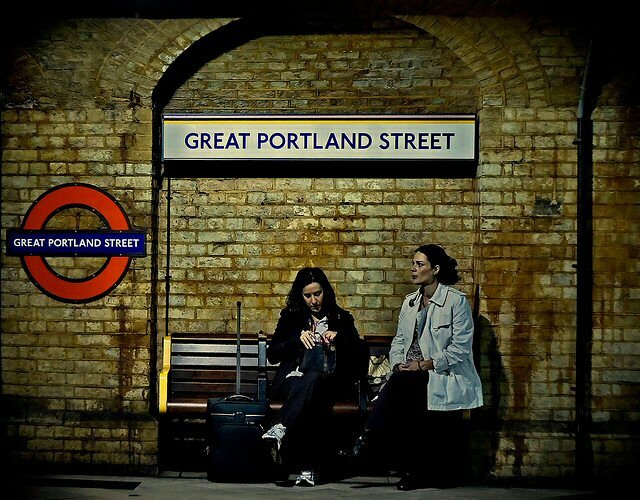 Great Portland Street is home to four Grade 2 listed buildings: the Great Portland Street tube station and the structures on numbers 78/80, 94, and 126. Interesting Edwardian buildings can be seen on numbers 160-180, 226, and 229. Great Portland Street was home to notable intellectuals and artists. This is evident in the more than 5,000 signatures that once decorated the walls of Pagani’s restaurant, which bore witness to the visit of distinguished artists like composer Puccini, painter James McNeill Whistler, tenor Fernando de Lucia, and actress Sarah Bernhardt. Felix Mendelssohn, Carl von Weber, Charles Barry, and Sir David Wilkie all lived in Great Portland Street. Great Portland Street branches off Oxford Street. The southern end of the street (between Oxford Street and Mortimer Street) is dotted with stylish eateries catering to tourists and business people alike. As they continue walking north, visitors will notice a number of businesses in the textile, banking, and motor vehicle industries, which are reminiscent of the historic past of Great Portland Street. Approaching the underground station on the northern end of the street, visitors will notice the impressive building of the Portland Hospital for Women and Children. Regent’s park, across the road from Great Portland Street tube station, is a good way to end a tour along this notable London Street. Portland Village W1W – supports current community efforts, both by local businesses and residents, to regenerate and improve their local streets. One of five panels from Pagani’s Italian Swiss restaurant in Great Portland Street, London, from 1874 to 1940 (linoleum). Villandry Great Portland Street – a large food Emporium with four separate eating areas and outdoor seating. Office buildings on Great Portland Street – Both modern and period properties offering a wide range of premium office accommodation. This article is part of London Street Guides series. Further guides on important streets in the city of London including Baker Street, Broad Street, Goodge Street, Old Street, Cannon Street and Regents Street.